The FYF accepts solicited Grant Requests through a network of nominators; however, we do in rare cases consider unsolicited requests from exceptional organizations. To be considered for awards, organizations must meet FYF selection criteria. Unsolicited applications may not receive a response from FYF. 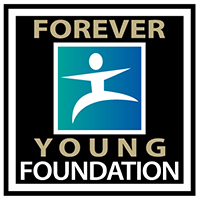 Forever Young Foundation serves children facing significant physical, emotional, and financial challenges. Grants are considered for organizations seeking to provide academic, athletic, and therapeutic opportunities currently unavailable to these children.